Homemade Pomegranate juice is healthier. 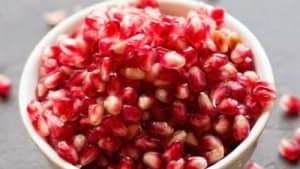 How to make pomegranate juice without a juicer? This post does help to do it in the perfect way without messing much in the kitchen. And this juice is very refreshing, and energetic. Making fruit juice from the scratch is always healthy and fresh. This way you are avoiding chemicals, preservatives, added flavors and other additives. Fresh juices can be made in many ways using many different types of equipment. 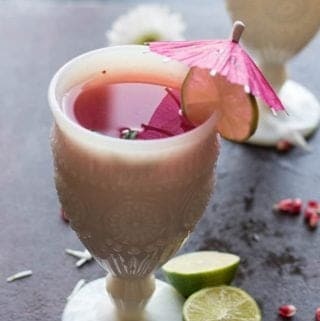 It can be made with the fancy and expensive juicer or with the regular blender. 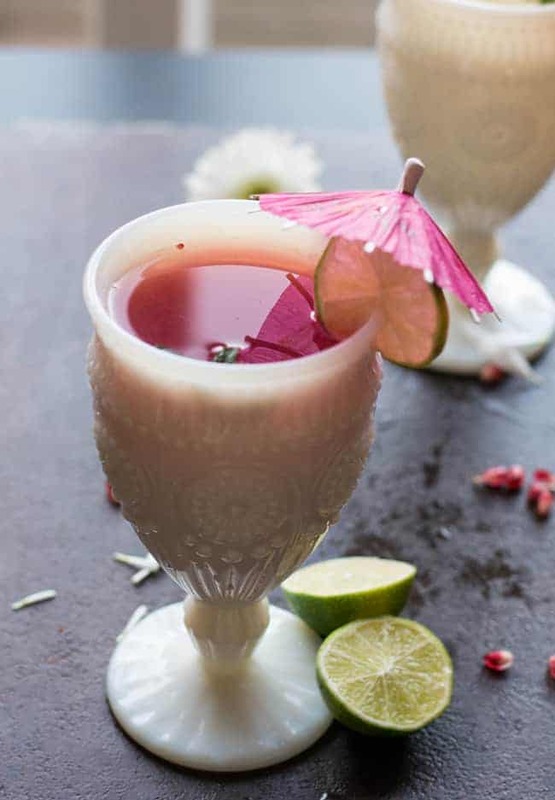 So, how to make pomegranate juice without the juicer? Well, it is simple and easy. Or using food straining bags. Though all these methods are simple, I find using the strainer is much easier compared to the other two. As you can just pour the mixture and leave it for few minutes to extract the juice. By using the strainer, we can extract the juice to the maximum limit. You may also look into other recipes that you can make with pomegranate, like pomegranate punch, pomegranarte raitha and coconut chia pudding. 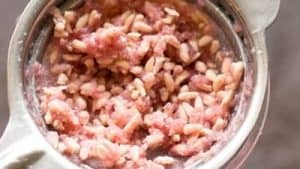 How to make pomegranate juice without a juicer? This post does helps to do it in perfect way without messing much in the kitchen. And this juice is very refreshing, and energetic. Wash and clean the pomegranate pearls. 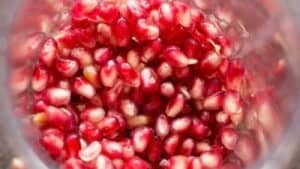 Add pomegranate pearls to the blender. And pulse it a couple of time until the seeds start crushing. In a container, place the mesh strainer over it. Pour the mixture. Use back of the spoon and press it to extract the juice as much as possible. Pour the strained juice into tall glasses and serve. Add ice cubes if desired. Sugar is optional. Avoid it if the pomegranate pearls are sweet enough for the juice. You can also substitute sugar with natural sweeteners like honey. 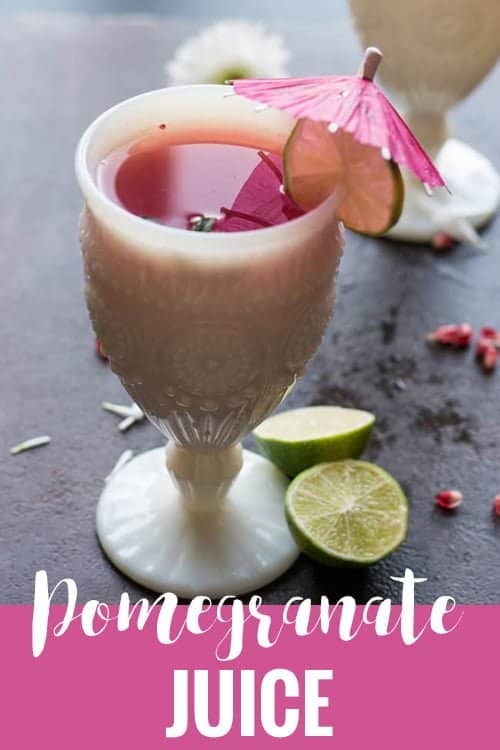 Don’t want to miss a good recipe for how to make pomegranate juice without a juicer? Sign up for the FREE 15-minute Recipes and latest recipes delivered to your inbox!